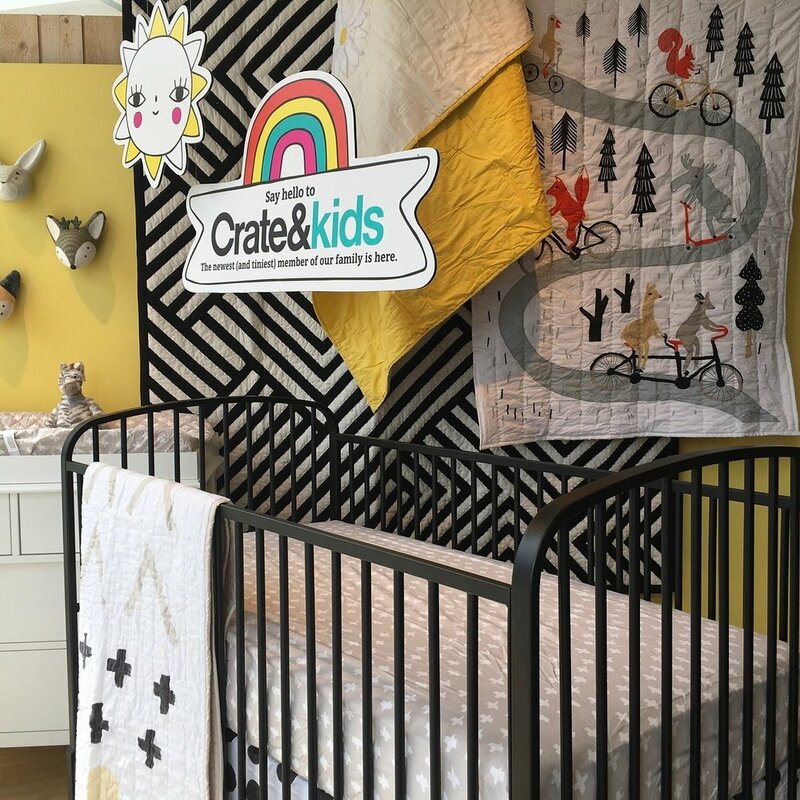 I was honored when Crate&Barrel invited me to create the visual language for The Land of Nod transition to Crate&Kids. 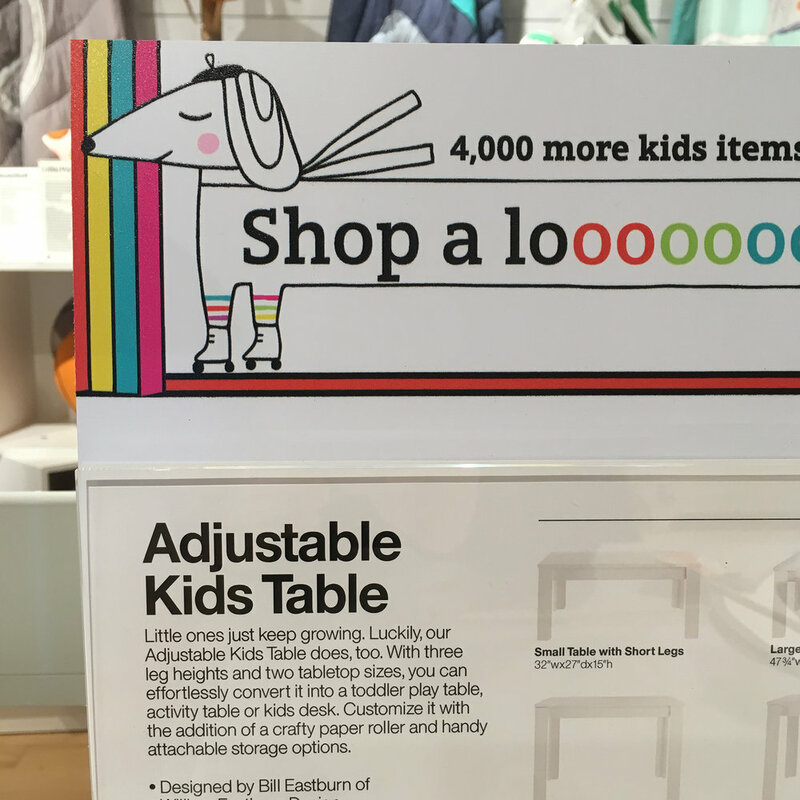 The Land of Nod had given me my start in kids product design & many wonderful years of fun collaborations. I used that experience to create continuity for the Nod consumer while remaining true to the Crate customer. The result was a modern, playful neighborhood of characters assembled to greet customers. 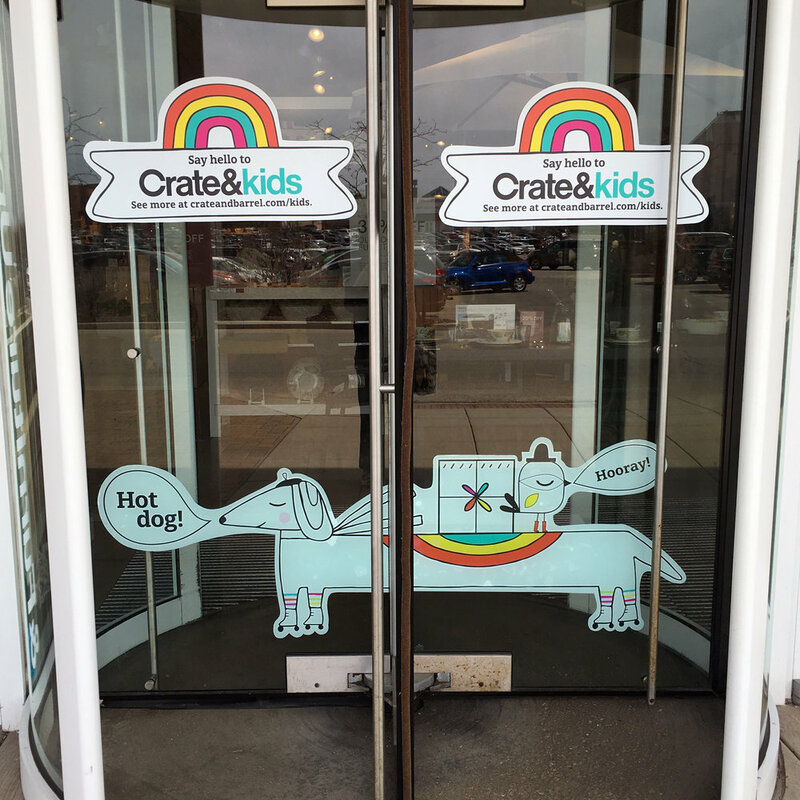 🌈 Enjoy roller skating dogs, bright sunshines, and rainbow arrows at a Crate&Barrel store near you!